MEMBERS OF THE STUDENT BODY commemorate the start of the winter sports season with an Icelandic war chant. 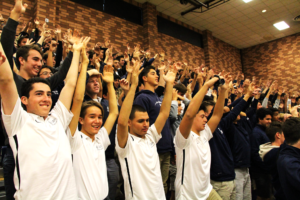 Loyola’s winter sports rally, led by senior Student Body President Ryan Wallace, was held on Wednesday, Nov. 30, during an extended lunch period and was coordinated by Student Council. 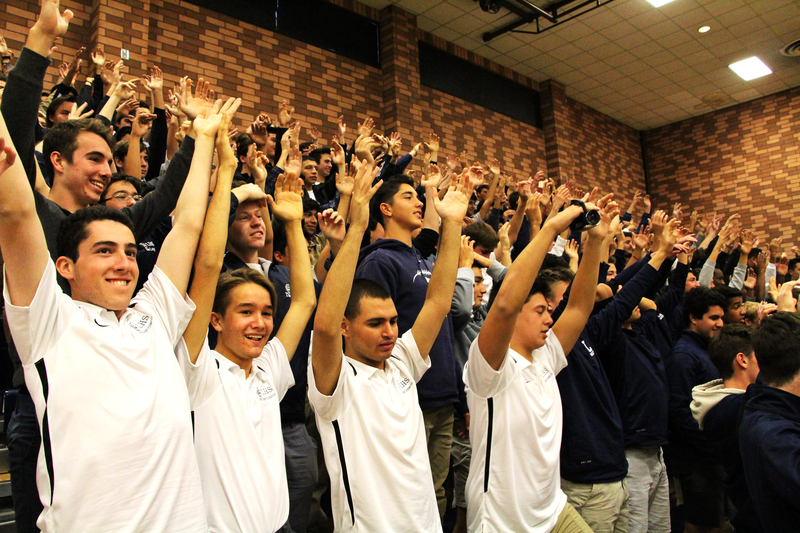 The rally introduced Loyola’s two winter sports: basketball and soccer. Both teams showed short promotional videos that were directed by Wallace to encourage student attendance. The soccer team was represented by seniors Lucho Gazcon, Antonio Chavez Borrelli and Dominic Valdivia. Their promotional video featured Spanish teacher Amado Machorro equipped in referee gear alongside varsity team captains Gazcon and Chavez Borrelli, who square off in a Western-themed penalty shootout. Repeated chants of “Machorro” echoed throughout Leavey Gymnasium when he entered frame. Keeping with pep rally tradition, freshmen and seniors as well as juniors and sophomores faced off in pickup basketball games. The freshmen upset the seniors, while the juniors defeated the sophomores. The juniors were able to beat the sophomores, but coaches Chad Yates and Andre Woodert as well as math teacher Trevor Mutch were victorious in the pickup championship. The pep rally atmosphere was accentuated by the Mighty Roar’s performance of several musical pieces they’ve been practicing since the beginning of the school year. Toward the end of the rally, Wallace introduced a new chant to be sung during halftime at basketball games. The new cheer was inspired by the Icelandic war chant that gained global recognition following the European Championship soccer tournament over the summer. 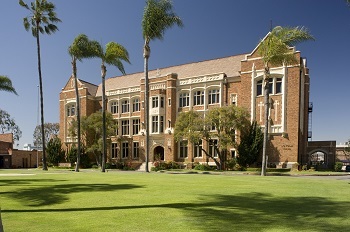 The gym erupted into rhythmic claps and war shouts, and students approved of the addition.